The pocketlabworks iRiffPort iOS audio interface makes it easy to connect your guitar to your iOS device for recording or practice with your favorite music software. 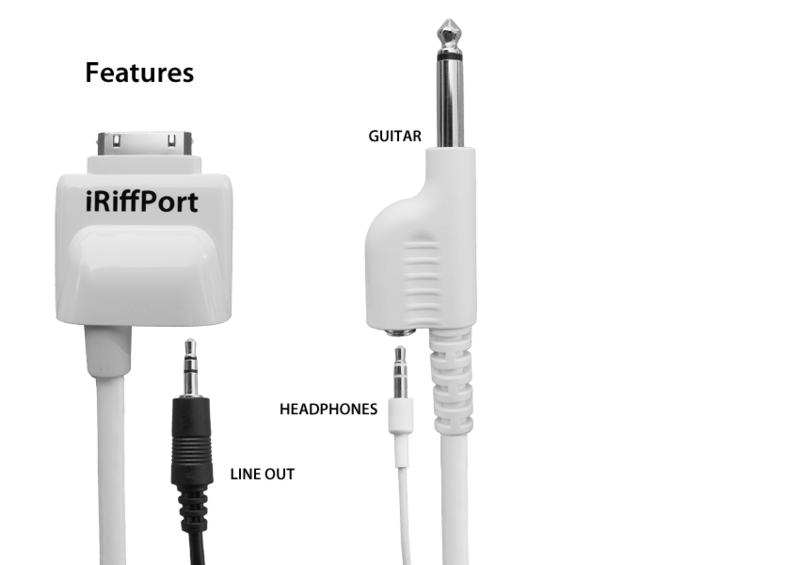 The iRiffPort works with virtually any music app, and works with your iPad® and iPad® 2, iPhone® 4, and iPod® Touch (4th gen). Just connect the attached instrument cable to your guitar, bass, or whatever, and jam along with your favorite music app. For playback, you can use your favorite headphones with the 1/8″ stereo headphone output, or connect to a sound system or recording with the 1/8″ stereo line output. No matter how you use it, you’ll have fun jamming with your iOS device with the pocketlabworks iRiffPort iOS audio interface!